That's a young Superman who was taken by surprise by Orion. 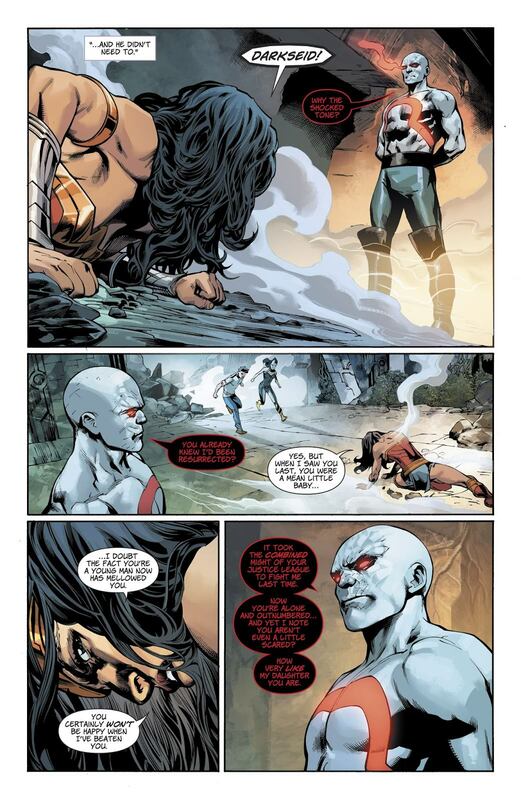 Superman was aware about Darkseid and still got almost killed. Superman is clearly "aware about" Orion here too and still got ko'd. Superman even dodges Orion's initial attack but then gets downed easily. If by clearly you mean not at all, sure. 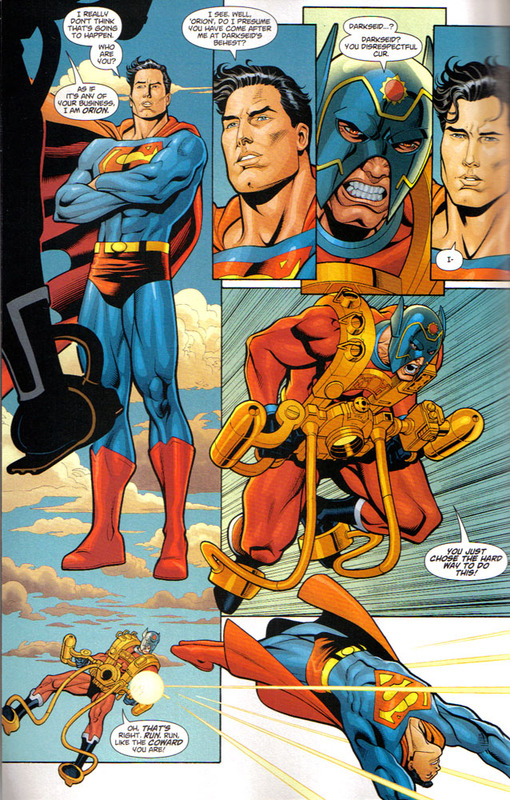 This was the first meeting between Superman and New Gods, there is nothing to indicate he knew who Orion was. Ah, I see, motifian's latest made-up rule: first fights don't count! LOL! I like how you discarded Superman's own statements because it throws a wrench in your theory. What discarded statements? I haven't omitted anything. But what about Orion's statement when after Superman punches him, and he says, "That almost hurt," and Superman is stunned that his haymaker didn't do much of anything at all. After that, Orion one-shots Superman. Now it doesn't count for Orion because Superman is young but somehow it counts for Darkseid! You repeatedly change your standards depending on whether you like the character. The catalogue of you doing this is almost endless. Superman was playing around with Orion and got stunned for a few panels. Oh, now it's Superman only got "stunned," but then you claim that stunning an opponent is a win for you. Every instance you pointed to of Darkseid beating Superman was far less persuasive than Orion clearly and cleanly beating Superman here. Yes, stunned because he wasn't taking the fight seriously. It's neither beating Superman much less beating him cleanly. First, Superman is just plain knocked out. Second, it's a clean win. 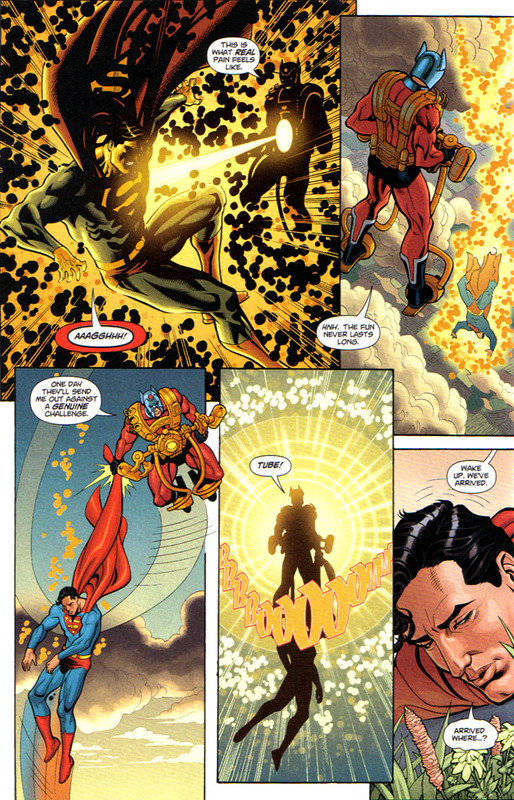 Superman is engaged in the fight, dodges Orion's first attack, punches Orion to little effect, and then Orion one-shots Superman. It's a clean, easy win. Third, you yourself stated that your criteria for a victory is simply stunning someone. 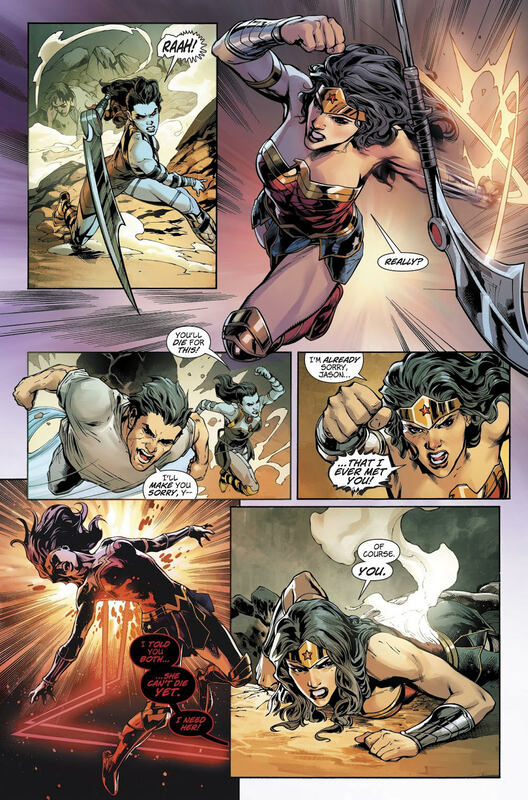 So you count the below as Darkseid beating Superman (this one page is literally the entirety of this non-fight that you called a fight) and Darkseid blindsiding Wonder Woman as a win, but you don't count this as Orion beating Superman! Pretty funny, but the joke's on you.